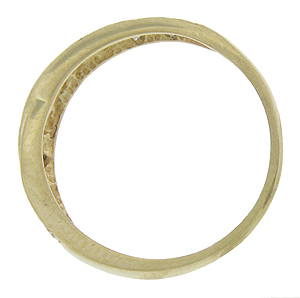 Fronds of 14K yellow gold bend together to form this unique estate wedding band. 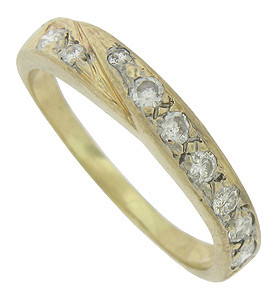 Glittering round cut diamonds press into the surface of the lovely wedding ring. The ring measures 6.94 mm in width. Circa: 1950. Size 6 1/2. We can re-size.